Editor's Note: This article was originally published on October 4, 2017. The once sleepy world of corporate philanthropy has been perking up lately. An older model of giving—which often involved cutting lots of checks to local charities without asking many questions—is giving way to a more focused and strategic approach. Many businesses are now looking to tap the full range of their assets to make a measurable impact on a specific set of problems. A case in point is JPMorgan Chase, which has dramatically shifted its giving over recent years. That shift explains the two large, high-profile investments in urban areas that it has announced in the past month—a $40 million commitment in Chicago and a $10 million effort in Washington, D.C. In turn, these initiatives build on JPMorgan’s $150 million investment in Detroit, starting in 2014, and reflect sweeping changes in the bank’s philanthropic strategy that were set in motion five years ago. The bank’s move to a new approach began in 2012, when CEO Jamie Dimon asked for a review of company grantmaking—which was then running at about $200 million a year. Dimon didn’t feel that all this money was being spent very wisely or strategically. And he was right. JPMorgan Chase is a massive global financial institution, with a history dating back nearly 200 years. It has 240,000 employees and operates in dozens of countries. Some 60 million American households bank with JPMorgan Chase, along with millions of businesses. In many cities, its branch offices have become ubiquitous. Another compelling reason for JPMorgan Chase to step up its giving game in 2012 was to repair a tarnished reputation in the wake of the financial crisis. The bank wasn’t one of the arch villains in the subprime mortgage mess, but it engaged in its share of bad behavior and, like most banks, came to be viewed with strong distrust by the public and community leaders. High-profile and effective philanthropy was one way for JPMorgan Chase to redeem itself. But what was the right focus for such giving? Scher says that the bank set about identifying areas “where we think we have an unique ability, beyond just writing a check, to move the needle.” That exploration led first to a focus on workforce skills. As a huge employer that also handles the banking needs of many employers, JPMorgan Chase is keenly attuned to workforce challenges. Like other major employers operating in the arena of services and information, the bank needs to fill many so-called middle-skills jobs that require strong competencies but not necessarily college credentials. Finding workers for these positions isn’t always easy. “The skills gap was evident in every market we operate in, all over the world—whether it be in North America, Asia or Europe,” says Scher. The problem was so bad that Jamie Dimon believed that the skills job had become a drag on economic growth, a view shared by many experts who point to several million unfilled jobs in the U.S. and say that a weak labor force crimps business expansion. Another focus that emerged as JPMorgan pondered the future of its philanthropy was community development, which is also terrain that it knows well as a leading provider of financial services to small businesses. Through those relationships, it sees firsthand the role that enterprising local business people play in driving growth. And it knows the obstacles small businesses can face when trying to scale up their operations, starting with a lack of capital, especially in communities of color. Overall, JPMorgan felt that it had the skills and resources to help close an urban prosperity gap that, as with the skills gap, it saw in the United States and other countries. In many top cities where the bank operates, large swaths of neighborhoods aren’t sharing in prosperity. The bank felt it could help change that. Scher didn’t mention Donald Trump, whose rise with an “America First” message has deeply rattled a corporate world that’s thrived in an era of globalization and free trade. But the same point holds. Even if the pitchforks don’t come out, surging populism could undermine economic growth and stability. Among those the bank recruited was Chauncy Lennon, who was tapped to lead the workforce program in 2013. Lennon previously ran workforce programs at the Ford Foundation, and before that, was a vice president at SeedCo, which focuses on community economic development. To head up its work on community development and small business, the bank hired Janis Bowdler, who previously was the director of economic policy at the National Council of La Raza. Other hires in recent years have included Sarah Steinberg, who had been a senior economic policy analyst at the Center for American Progress, and Whitney Smith, who was previously with the Joyce Foundation and now leads JPMorgan Chase’s philanthropy in Chicago and the Midwest. Irene Baker, who joined the philanthropy team in early 2016 to head up the cities strategy, had worked for Governor Andrew Cuomo on economic development in New York State. The bank put another important piece in place for smarter giving when it created the JPMorgan Chase Institute and recruited Diana Farrell to lead it, plucking her from McKinsey in 2014, where she had directed McKinsey Global Institute, among other roles. Farrell had also spent time in the White House’s National Economic Council during the Obama Administration. The JPMorgan Chase Institute calls itself a “global think tank dedicated to delivering data-rich analyses and expert insights for the public good.” Part of its mission is guiding the bank’s philanthropy, and the way it does this underscores the formidable assets that a top financial institution can bring to solving economic problems. Typically, the economic data that policy wonks work with comes from the Federal Reserve. But this survey data is not always entirely accurate or up to date. In contrast, JPMorgan’s own data on some 60 million U.S. households allows it to see in real time how people behave financially within different neighborhoods in a major urban area. The bank has also invested in more traditional sources of policy expertise to guide its philanthropy, making a $10 million grant to the Urban Institute in 2015. As IP reported at the time, the aim of this investment was to support research and analysis that could inform the bank’s philanthropic programs and evaluate whether they are achieving their intended outcomes. The bank also said it was committing to support "institutional modernization and capacity building that will strengthen Urban for the future." It’s not often that you see big banks teaming up with Beltway think tanks—at least to do anything good in the world. Beyond boatloads of money for grantmaking—which is now running at $250 million annually—and unique proprietary data, JPMorgan Chase has other powerful assets that it’s deployed to advance its philanthropic agenda. Its hundreds of branch offices and thousands of employees in top urban areas give it a direct presence in communities that even the biggest private foundations could never hope to match. And, like many corporations, JPMorgan actively engages its employees in its giving programs. Companies have long encouraged their employees to volunteer for charitable causes. The difference now is that there’s much more focus on tapping staff with specific skills to advance philanthropic goals. Salesforce has been a pioneer in this regard since its founding in 1999 as part of its 1+1+1 approach to corporate philanthropy, combining the giving of money and company products with contributions of employee time, including tech specialists who can assist nonprofits or schools with IT issues. A final asset that JPMorgan Chase brings to its social mission is its enormous lending power. This is a bank with $2.6 trillion in assets, and it obviously knows how to make loans, including to nonprofits and for-profit social enterprises. It’s naturally positioned as a powerhouse in the fast-growing field of impact investing. In May 2014, JPMorgan brought together the various elements of its new philanthropic strategy in a major effort to revitalize Detroit. It announced a $100 million, five-year commitment to the city, half of which would take the form of grants to community organizations and the other half of which were loans to help small businesses and build affordable housing. The total investment has since climbed to $150 million. JPMorgan Chase’s effort to give Detroit a boost has been unfolding over three years, and its impact hasn’t been independently evaluated. From the outset of this venture, some critics raised concerns about both the bank's motives and approach. But JPMorgan has been upbeat about its progress in Detroit. It estimates that it has created or preserved nearly 1,700 jobs, financed about 100 new businesses, and provided job training to nearly 15,000 people. A recent deep dive into the bank’s work in Detroit by a Fortune reporter chronicles a wide range of activities that have occurred because of the initiative, including an increase in lending by community financial development institutions (CDFIs), with funds reaching businesses led by people of color that would not otherwise have received financing. New capital from the bank has also leveraged millions of dollars in additional funds for residential and commercial real estate projects. Hundreds of local businesses and nonprofits have received technical assistance from the Service Corps. Numerous community groups have landed grants. Chicago is a city that looked promising to JPMorgan, and has now emerged as another focal point for its ambitious philanthropic strategy. Chicago’s problems are profound, with chronic gun violence and unemployment rates as high as 30 percent in some poor neighborhoods. The median income of African Americans is half that of whites. Nearly two-thirds of Chicago’s 1 million households are financially insecure, with less than $2,000 in savings, and 38 percent of residents have a subprime credit score. Yet as with Detroit, there’s a lot of movement right now in the city to address entrenched poverty and the lack of economic opportunity—including by a number of major funders, as we’ve reported. “We think there’s a real moment in Chicago, a real moment of synergy,” says Dan Sprehe, who helps lead JPMorgan’s philanthropy in the Midwest. The bank is certainly in position to lend a hand in Chicago. It has a major footprint here, with 16,000 employees and 360 branch offices. Its local executives serve on numerous nonprofit boards and it handles the banking of many small businesses and community groups. “We are deeply, deeply embedded in this community,” says Sprehe. Last month, the bank announced a commitment in Chicago of $40 million over three years. This initiative was developed using analyses by the JPMorgan Chase Institute, as well as data from the Urban Institute, which shed light on the financial challenges facing residents and businesses. The bank’s investments will largely follow the approach pioneered in Detroit, combining traditional grants and lending with technical assistance to train workers for better jobs, grow small businesses in underserved neighborhoods, and underwrite new real estate projects. The initiative will also help residents get better at managing their personal finances and boost their credit scores. This last piece reflects another thread of JPMorgan’s economic opportunity work. As we’ve reported in the past, it’s has been a big supporter of the Center for Financial Services Innovation (CFSI), a nonprofit that works to “improve the financial health of Americans, especially the underserved, by shaping a robust and innovative financial services marketplace with increased access to higher quality products and practices.” In 2014, it gave $30 million to the Financial Solutions Lab, which is managed by CFSI, to identify, test and scale innovations that help people increase savings, improve credit and build assets. In Chicago, the bank says it will use new services and technology to strengthen the financial position of the city’s poor residents. Meanwhile, JPMorgan Chase is also expanding its anti-poverty push to other cities. In late September, it announced a $10 million, three-year effort to boost inclusive economic growth in the poorest parts of Washington, D.C. 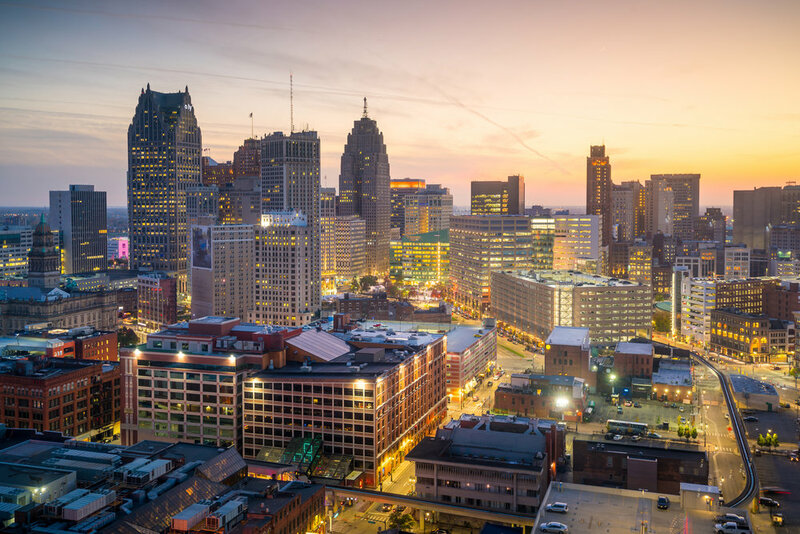 The bank chose to focus in the nation’s capital because, as in Detroit and Chicago, the stars seem aligned for progress against poverty, with lots of collaboration already happening on the ground. JPMorgan’s formula for intervention is the same one it’s been refining elsewhere, although in this case, half the funds are going to a collaborative of CDFIs working to address racial and economic disparities in the city through a range of investments. Five years after Jamie Dimon set out to increase the impact of JPMorgan Chase’s philanthropy, the bank has established itself as a clear leader among corporate funders. Actually, it’s fair to say that it’s moved ahead of many private foundations in terms of the scope and sophistication of its efforts to boost poor urban communities. As a giant financial institution, it’s able to pull important levers to make an impact on entrenched economic problems that aren't available to traditional grantmakers. While Peter Scher and his team at JPMorgan Chase haven’t said much about how the broader world of philanthropy may need to change, the model they’re pioneering—along with innovation by other cutting-edge corporate funders like Salesforce—should provoke reflection by private foundations. These entities will never be able to tap armies of skilled employees or innumerable branch offices to advance their goals. And they don’t have access to troves of proprietary data. But some do have large reservoirs of capital—although the bulk of these funds are generally left on the sidelines, in carefully stewarded endowments. The critical role of financial capital in fueling urban revival, enabling new businesses and real estate projects, suggests that private foundations will need to go further in embracing impact investing if they want to make a real difference in struggling cities. While such foundations were instrumental in creating and scaling up community financial development institutions, they've always been constrained in how much capital they can provide to these and similar efforts. Some key anti-poverty funders—most notably Kresge and Ford—have already made moves to expand impact investing. But others in this space, like the Kellogg Foundation, have been far more cautious. There’s an irony in all this. For a long time, it was top private foundations that set the bar for sophisticated philanthropy, and corporate funders were the laggards. That remains the case today in many areas. Yet, as business steps up its giving game and awareness grows that progress against the toughest problems requires using all possible tools, this dynamic has shifted a bit. These days, oddly enough, it’s big, profit-making goliaths that can sometimes be found doing the most innovative things, especially when it comes to helping the poorest people in America and world.